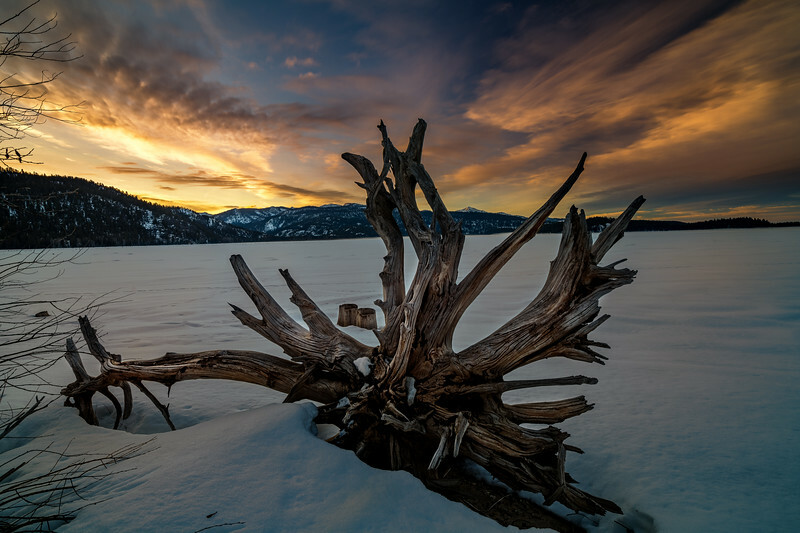 I had a dramatic sunrise at Little Payette Lake last month. I was taken by the pattern in the clouds, how they fan out from the mountain ridge. There are so many stumps along the edge of this lake, U searched until I found one that has a similar fan out pattern as the clouds. Well, here it is.